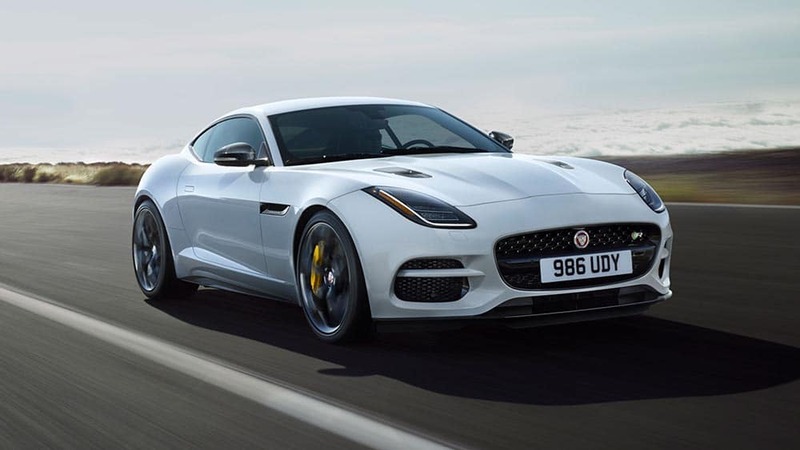 Both the 2019 Jaguar F-TYPE and the 2019 Chevy Corvette offer superior power, exceptional handling, and high-end components and features that you won’t find in other cars, and drivers in the Mason area have been quick to take notice. Find the performance vehicle that’s right for you by taking advantage of our in-depth Jaguar F-TYPE vs. Chevrolet Corvette comparison. 2019 Jaguar F-TYPE: The F-TYPE starts out with a 2.0-liter engine, but even here, it delivers up to 296 hp. A 5.0-liter supercharged V8 engine is also available, alongside an eight-speed ‘Quickshift’ ZF transmission and optional all-wheel drive. When all three are in place, you’ll have access to a roaring 575 hp and up to 526 lb-ft of torque. The F-TYPE zips from 0-60 in 3.5 seconds, and it has a top speed of 200 mph. 2019 Chevrolet Corvette: Drivers who choose the Corvette will be able to equip a 6.2L V8 DI engine, and a seven-speed transmission is available in every trim. With this equipment, it delivers 460 hp and 465 lb-ft of torque. The Corvette goes from 0-60 mph in 3.6 seconds. 2019 Jaguar F-TYPE: Whether you select the coupe or the convertible design, the F-TYPE will seat two on your drives around the Little Rock, AR area. Inside the cabin, you’ll encounter streamlined light magnesium seating, as well as a three-spoke steering wheel with mounted controls, paddle shifters, and an easy-to-use entertainment system with large analog controls. 2019 Chevrolet Corvette: Drivers who choose the Corvette will have the option to equip colored Mulan leather in the base trim, or upgrade with colored Napa leather in the most expensive trim. Steering-wheel-mounted controls have also been included standard here, and the Corvette offers seating for two. Take a closer look at the Jaguar F-TYPE technology features to get a better sense of what sets this performance vehicle apart. 2019 Jaguar F-TYPE: The unmistakable Jaguar F-TYPE exterior features 18- or 20-inch wheels, as well as LED ‘J’ blade daytime running lights, LED headlamps, and LED taillights. You’ll also be able to choose between an aluminum roof, a panoramic glass roof, and a carbon fiber roof. Did we mention the F-TYPE is also available as a convertible? The F-TYPE offers 4.1 inches of ground clearance has a turning circle of 37.1 feet. The front and rear wheel tracks are 62.9 inches and 64.9 inches wide respectively. 2019 Chevrolet Corvette: The Corvette receives standard 5 split-spoke silver-painted aluminum wheels, high-intensity discharge (HID) headlamps, and a body-colored carbon-fiber roof panel. With a front track width of 63 inches and a rear track width of 61.7 inches, the Corvette doesn’t sit quite as wide as the Jaguar. Corvette or F-TYPE: Which is the Performance Vehicle for You? Comparing the 2019 Jaguar F-TYPE vs. the 2019 Chevy Corvette, it’s clear that the Jaguar outpaces its rival. With more power, better performance, and design features that will revolutionize your experience on the Arkansas Highways. If you’re ready to see how it handles for yourself, set up a test drive in one of the new F-TYPE models at Jaguar Little Rock! Contact us today to get started.